Streamlined, that’s pretty much the way I like things at work. I like to perform a task efficiently, and I expect others to adopt the same efficient process or I adopt theirs if it’s more efficient. The point of being streamlined is for everyone doing a particular task to achieve the same result in the least amount of time, at least those are my thoughts. Evangelism and discipleship is a bit different. No two people came to know Christ in exactly the same way, and yet it doesn’t stop Christians from developing a new algorithm to convert people. It seems kind of silly. I’ve been wrestling with this idea of strategizing for Jesus since last Sunday, and I can’t say I’ve come to terms with it just yet. In the great commission Jesus went to his disciples and said, “All authority in heaven and on earth has been given to me. Go therefore and make disciples of all nations, baptizing them in the name of the Father and of the Son and of the Holy Spirit, teaching them to observe all that I have commanded you. And behold, I am with you always, to the end of the age.” (Matthew 28:18-20). Jesus didn’t say do this, not that, in groups of 3, not 4, and meet once a week, every week for 5 weeks. Jesus didn’t say that because he knew that what was going to work for Jake Smith may not work for Mary Jones. I am in no way saying that you shouldn’t adopt a way of evangelizing and discipling people, but don’t limit yourself to one method. Your method should be love, and love in its purest form given from the blood of Jesus. If you are befriending non-Christians for the purpose of converting them because you want to or because your pastor told you to, they are going to see right through that. And if for some reason they don’t recognize it right away, they will surely realize it when you stop calling once they are converted. When these new friends become less new (or maybe still new) they will catch you off guard and ask you, “Why are you so happy?” Now, for Christ’s sake, open your mouth and share the gospel, and share it like you really, truly believe it. Share it with the Holy Spirit in you, not some algorithm. This entry was posted in Reflections & Revelations and tagged algorithms, Christ, Christianity, discipleship, evangelism, faith, hope, Jesus, love, peace on April 30, 2015 by sitathisfeet. I have been out of the country for the past couple weeks visiting the Philippines and Guam, my first time out of the country, so some might say that I had a case of culture shock. The Philippines is a beautiful place, full of lush green landscape, Spanish-era churches, gorgeous beaches, and rolling mountains. Because PI is a third world country there are some harsher realities hiding behind the country’s natural beauty. As my boyfriend and I were staying in a rural area, most of the attractions were over an hour away, meaning long car rides through both rural and urban areas. No matter where we went it was evident that poverty was widespread, and that resources were limited. My natural instinct is to get angry at the circumstances. I am passionate about justice, but I’m not always sure of how to act on it. While I have been back from the Philippines for several days now, I still struggle with how I can help their dire conditions. I’ve researched charities, orphanages, etc. It’s hard to navigate giving to a people with so many needs. While I work on a giving plan for the rest of the year, I am also researching the culture itself. I ran across a wonderful stationary shop while I was in the Philippines called Papemelroti. Here I bought many gifts, along with a set of cards, each with a Philippine fact. Flipping through the cards last night I saw one that surprised me. Filipinos are among the happiest people in the world despite their level of poverty. Americans have just emptied their wallets in the spirit of a Merry Christmas and Happy New Year, but how many of us are truly happy, joyful, even hopeful. On our way to Baguio City on a Sunday afternoon we quickly pulled over to visit Our Lady of the Rosary of Manaoag Church. I couldn’t believe my eyes. I had never seen so many people packed into a church and church grounds. The place was swarming with people of all ages crowding in to hear the sermon and to be healed. Despite the number of disabled, sick, and even physically deformed by tumor and disease, the emotion there was overwhelmingly joyful. People gathered at the shrine to light a candle for healing. I lit two, one for each of my parents. And while there were sinful things happening just outside the gates, all was forgotten in the presence of Jesus and the hope for a better life. The lesson we so often miss or forget is that our happiness is found at His feet no matter the number on our paycheck or whether we even have a paycheck. It is found where two or three are gathered to honor our Lord Jesus Christ. If you’d like to help the impoverished of the Philippines, please stay tuned. I will be posting links to ways you can help, but in the meantime think about the source of your happiness. How does it dictate how you spend your time? This entry was posted in Reflections & Revelations and tagged Christianity, God, happiness, hope, Jesus, joy, justice, poverty, the Philippines on January 13, 2015 by sitathisfeet. It’s true. We go through life completely unaware of God’s plan, and when something doesn’t go our way we often think that God must have screwed up. What kind of God would send lava and ash spewing at me?!? The kind of God that knows exactly what he is doing is the kind of God that allows us to wrestle with our day-to-day struggles. In the moment we don’t see what good will come out of it, but I heard it said “Life only makes since in rewind.” If you don’t skip to the end of the novel everything leading up to the final chapter seems to be incomprehensible, unpredictable, sometimes happy yet sometimes unbearably painful. Since we will never know how each of our lives will end we must trust in the God that paints beautiful pictures. Next time you are in a season of trials, frustrations, and disappointments reflect on God’s character and his faithfulness to see you through past trials. 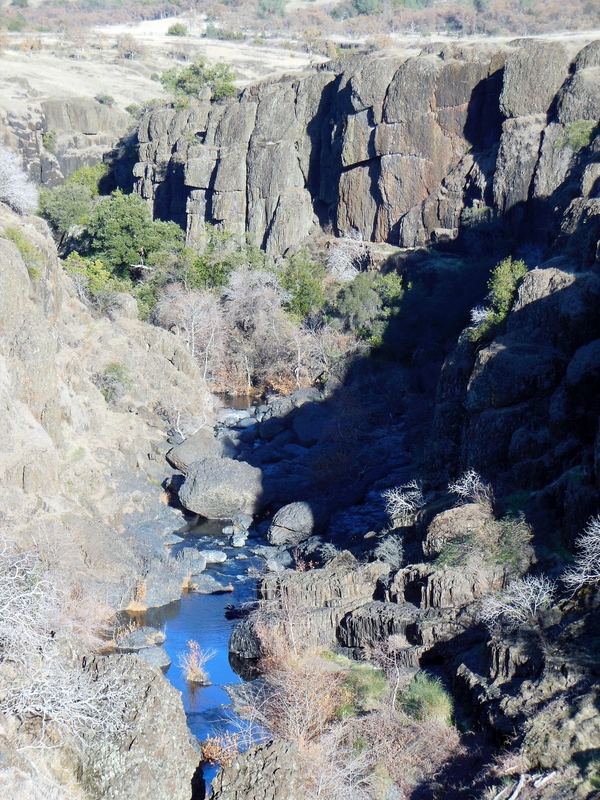 And lastly, take a look at a beautiful landscape, and know that in the end your life will make perfect sense like the lumpy, bumpy beauty of the rock at Upper Bidwell Park. This entry was posted in Reflections & Revelations, Videos and tagged beauty, Bidwell Park, blessings, blessings in disguise, California, Chico, disappointment, frustration, God, hills, hope, landscape, optimism, painter, reflection, revelation, season, spirituality, struggles, trials, volcano on January 4, 2014 by sitathisfeet.